I always like the visit at Dr. Brown’s office. The people are always nice. I love the place and I like the people in the offices they do so good. Dr. Brown is a very competent and caring doctor! Her staff are so sweet! Just like family! I was seen within 10 minutes. Dr. Brown has always been a nice physician. She examined me and prescribed some medicine for me. My experience with Dr. Brown and her staff has always been pleasant! They are professional and courteous. I have been going to Dr. Brown for years. Will continue! Thanks to you all! My wait time & overall experience while at the office was great. Friendly & courteous staff. I had a great experience the staff was very courteous and Dr. Brown was awesome I recommend her practice to many. I like Dr.Brown because she take out the time to talk with you she is very helpful and she help you understand any problems you may have she do all she can to get to the root of what ever problems you may have i say she is awesome. 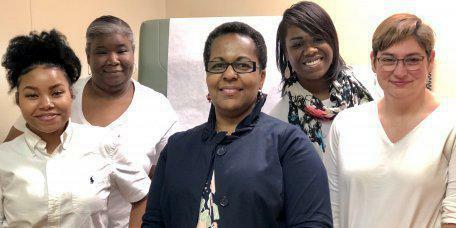 Dr. Brown and her staff are leaders in professionalism, efficiency, and friendliness! May success continue and overflow.